A draft budget proposal calling for ending NASA funding of the ISS by 2025 creates opportunities for commercial space station developers, but also opposition from one key member of Congress. WASHINGTON – The White House's next budget request for NASA will likely include plans to end the agency's operations of the International Space Station by the mid-2020s, a plan that could create new opportunities for commercial space ventures but has already generated opposition from one key senator. A draft budget document for the agency's fiscal year 2019 budget proposal calls for "ending direct federal government support of the ISS by 2025" as one of several items intended to implement Space Policy Directive 1, the executive order signed by President Trump Dec. 11 directing NASA to return humans to the moon. The document, rumors about which had been circulating in the space industry in recent days, was first reported by The Verge Jan. 24. "If the administration plans to abruptly pull us out of the International Space Station in 2025, they're going to have a fight on their hands," Sen. Bill Nelson (D-Fla.), ranking member of the Senate Commerce Committee, said in a Jan. 25 statement. Nelson said ending ISS operations in 2025 "would likely decimate Florida's blossoming commercial space industry," a reference to the commercial cargo and future commercial crew launches that will take place from Cape Canaveral as well as support for ISS research. The end of ISS operations would remove an anchor customer for cargo and crew vehicles. That potential impact on the industry, he said, "is one of the reasons why Congress has directed NASA to look at extending the ISS to 2028 and to provide a plan to help scientists and researchers continue experimenting in low Earth orbit beyond that." The NASA Transition Authorization Act of 2017, signed into law last March, directed NASA to develop an ISS "transition plan" that would "transition in a step-wise approach from the current regime that relies heavily on NASA sponsorship to a regime where NASA could be one of many customers of a low-Earth orbit non-governmental human space flight enterprise." Elements of that plan included cost estimates for extending ISS operations to 2028 and 2030 and "an evaluation of the feasible and preferred service life of the ISS… through at least 2028." NASA missed a Dec. 1 deadline set in the act for submitting the report to Congress. It's not clear from the draft proposal how NASA's role in the ISS would end, and how it would be coordinated with the station's international partners. At the International Astronautical Congress in Australia in September, NASA and other agency heads said they were not in a hurry to make a decision on the station's future. However, Bill Gerstenmaier, NASA associate administrator for human exploration and operations, said at the same event that he was seeking clarity on the station's post-2024 future in the near term. "I think that 2018 or 2019 is probably the right time" to make a decision on the station's future, he said during a Sept. 27 panel discussion at the conference. One potential forum for making announcements on the future of the station is the Second International Space Exploration Forum, scheduled for March 3 in Tokyo, which will be attended by high-level government officials from major spacefaring countries. At the first such event, held in Washington in January 2014, the Obama administration announced its intent to extend ISS operations from 2020 to 2024. The draft budget proposal states that the end of federal government support for ISS operations would be tied to "transitioning to commercial provision of low Earth orbit (LEO) capabilities." The document doesn't elaborate on what those would entail, but would open the door to NASA making use, through leases or other arrangements, of proposed future space stations. 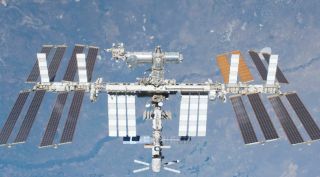 Several companies, including Axiom Space, Bigelow Aerospace and NanoRacks have proposed developing commercial stations, in some cases starting with commercial modules on the ISS. It's not clear yet if this proposal would accommodate commercial modules as part of any transition. "At Axiom Space, we're building the first commercial space station," said Amir Blachman, vice president of strategic development for Axiom Space, during a panel discussion at the Space Tech Summit in San Mateo, California, Jan. 24. The company plans to start building its modules next year, he said, with the first two launching in 2022. The station, he said, would be completed about four years later, requiring six launches for its components. "It's built modularly, so it can be updated and expanded." One issue some of these companies say they're facing is a perception that the ISS must be replaced by a single commercial station. "There are those in the government, those at NASA, who are still trying to figure out how to get one winner, one company that will step up," said Jeff Manber, chief executive of NanoRacks, during a panel discussion at the Center for Strategic and International Studies (CSIS) here Jan. 18. Instead, he argued NASA needs to let the market decide the number of types of stations that can thrive in the post-ISS era. "We have to have a completely different mindset." "It's one thing to say this is the last space station that will be owned and operated by the federal government," Manber said. "It's another thing to truly let us go out there, use the bandwidth, use the resources, to have a multiplicity of platforms." Bigelow Aerospace, which has long sought to develop commercial space stations, warned not to shift too quickly from the ISS. "It doesn't have to be a zero-sum game," company founder Robert Bigelow said in a Jan. 25 statement. "ISS operations should continue provided there are aggressive initiatives to use commercial platforms for human space operations in parallel with the continued use of the ISS until such time that NASA can safely relieve itself of the enormous financial burden." The end of federal funding of the ISS is one element of a broader policy included in the budget proposal to support human missions in cislunar space, including perhaps on the surface of the moon, in the 2020s. That policy will reportedly include other commercial opportunities. One aspect of the proposal is to support public-private partnerships to develop lunar landers and related transportation services by the early 2020s. Several companies have expressed interest in such efforts, including former Google Lunar X Prize competitors and Blue Origin, which announced its Blue Moon lunar cargo lander concept last year. The proposal will also open the door for a commercial launch of the first element of the proposed Deep Space Gateway, a power and propulsion module, in 2022. NASA had proposed launching the module on the second flight of the Space Launch System, which will also be the first to carry a crew, taking advantage of the additional payload capacity offered by the Block 1B version of the rocket. That mission, though, may not be ready to launch by 2022, given delays in the launch of the first SLS to no earlier than the end of 2019. NASA Acting Administrator Robert Lightfoot, speaking at the CSIS event Jan. 18, said that the 2019 budget proposal would contain details about the plan to implement the administration's directive to return to the moon, but offered no details. "We've been working on the plan. We've been working with the administration," he said. "I think when the budget comes out folks will see what we've been asked to go do and how we think we're going to do it." In the same appearance, he also touched upon the future of the ISS. "In five years, are we going to be ready to move that to somebody else, and if so, what does that mean?" he said in reference to the station. "Looking five years ahead is difficult."